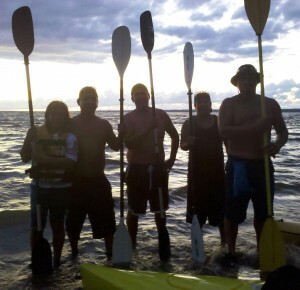 Members of the Onondaga Canoe and Kayak Club are ahead of schedule for their planned 16-day paddling trip from Cortland, NY to Sandy Point State Park in Stevensville, MD in celebration of the 400th anniversary of the Two-Row Wampum Treaty. The recreationists are also members of long-standing native tribe of North America, the Haudenosaunee (Onondaga), who set into the Susquehanna River on Monday as part of a historic sojourn that will take them through the Endless Mountains region and eventually on to Washington, DC, on foot. Their organization as a tribal entity is dated back to the 1100s AD, and they were among the first aboriginal people of what would eventually become the United States and Canada to enact a treaty with white settlers. The famous Two-Row Wampum, a treaty between the Haudenosaunee and Dutch explorers, was one of the earliest known partnerships between native inhabitants and European speculators. Later annexed by the US Government under the Indian Reorganization Act to the Onondaga Nation, the Haudenosaunee descendants remain committed to retaining their cultural beliefs and rights as citizens. They continue to revere nature and its eminent spirituality and are gearing up for a new epic journey. The seasoned paddlers made it to Sugar Run in their first day and took a day off to explore Wyalusing’s icons, including the Wyalusing Rocks Overlook and the Wyalusing Valley Museum, where staff member Mary Skillings shows the guests artifacts and accounts of Native American culture in the region as well as other aspects of the borough’s history. The entourage set in at Sugar Run at about 11 am on Tuesday morning and reached their destination near Tunkhannock by 7 pm. 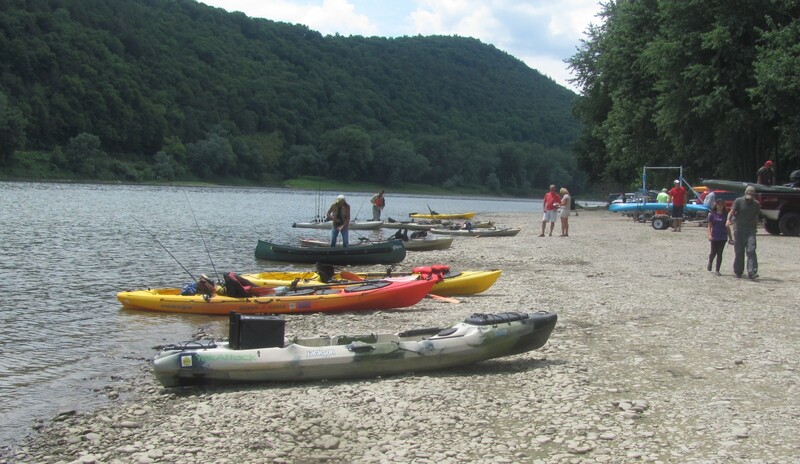 From Tunkhannock, the group will head downstream toward Pittston, where they will pause for lunch on Wednesday afternoon..
After landing at Stevensville, MD, the paddlers plan a two-day walk from to the nation’s capitol, where they hope to meet with government officials on Sunday, Sept. 21 to acknowledge the anniversary of the treaty. Perhaps, the Onondagas will also remind the electoral that the treaty has been violated a few times over the past four centuries. Endless Mountains Greenway Director David Buck was among those who rallied for assistance in finding the sojourners safe camp sites, food sources, and hygiene stations. He also helped to coordinate approval of municipal authorities at points along the river to avoid conflicts with other activities that may be scheduled. Buck related to paddling coordinator Hickory Edwards that residents of the Endless Mountains meeting the Onondaga sojourners along the way would welcome the telling of their story. Edwards noted that group members had just returned from a state fair at which they crafted a dugout canoe as part of the their celebration of the 400-year treaty. 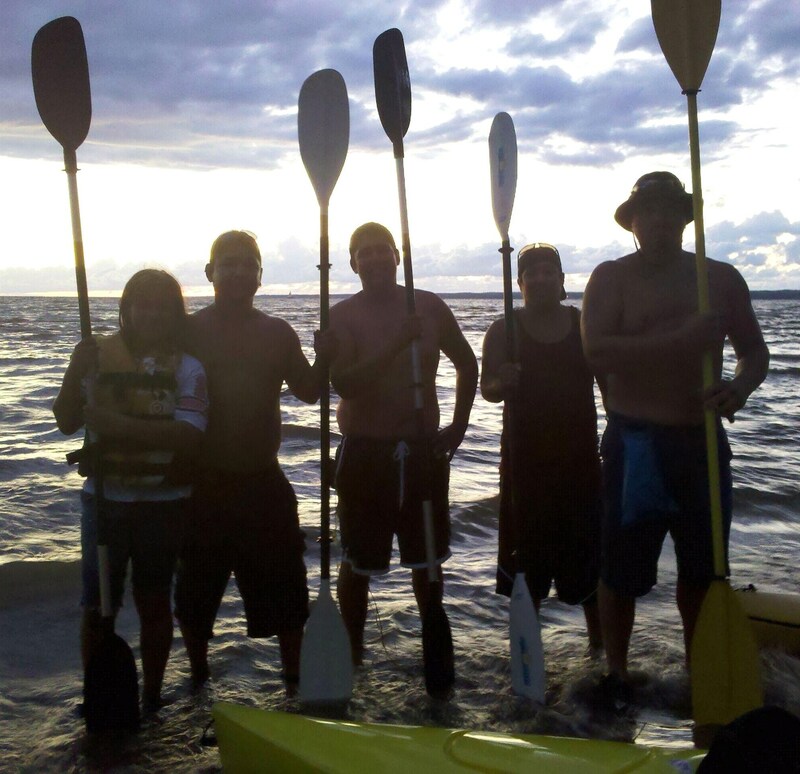 A number of local paddlers have expressed an interest at joining the group for stretches of their ambitious sojourn. Look for an exclusive story about the journey of the Haudenosaunee at EndlessMtnLifestyles.com in the near future. Many blessings for your journey.